Column aliases allow you to modify the column names of existing metrics for use in temporary tables without affecting the original column name. For example, a temporary table may be created in the SQL used to generate a report. If you alias the column, you can identify it easily. Column aliases can be set from the Advanced Settings option under the Tools menu of the Metric Editor. You can also set the data type and byte length for the metric. 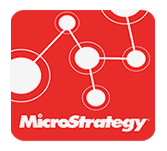 The MicroStrategy data types are Big Decimal, Binary, Char, Date, Decimal, Double, Float, Integer, LongVarBin, Long.VarChar, Numeric, Real, Time, Timestamp, Unsigned, VarBin, and VarChar. There are several drawbacks to using Big Decimal data type for metric values.